At least once in our lives, we have dreamt of owning a house surrounded by a large garden, even a park, and of strolling round it in the evening when dusk falls and peace and tranquillity returns. This is why Vico Magistretti designed Lyndon in 1977 – he wanted to recount a dream. The total simplicity of its support is combined with the elaborateness of its composite head, a cloud of transparent globes. Recalling times gone by and atmospheres from European capital cities at the end of the 19th century in a modern vein. 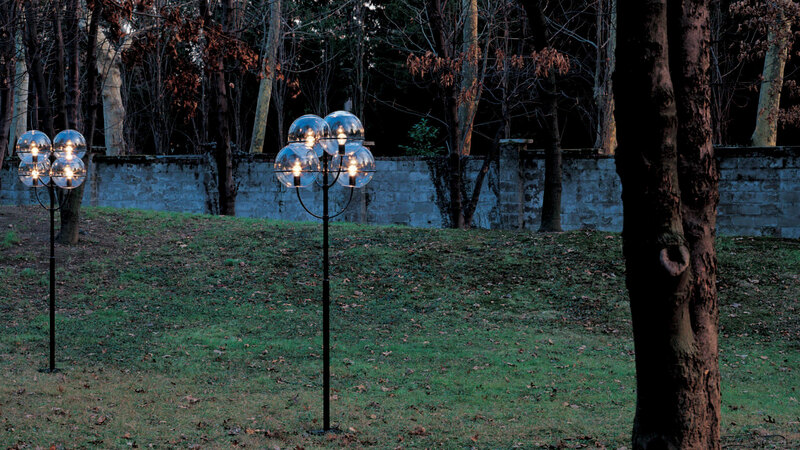 Outside floor lamp. 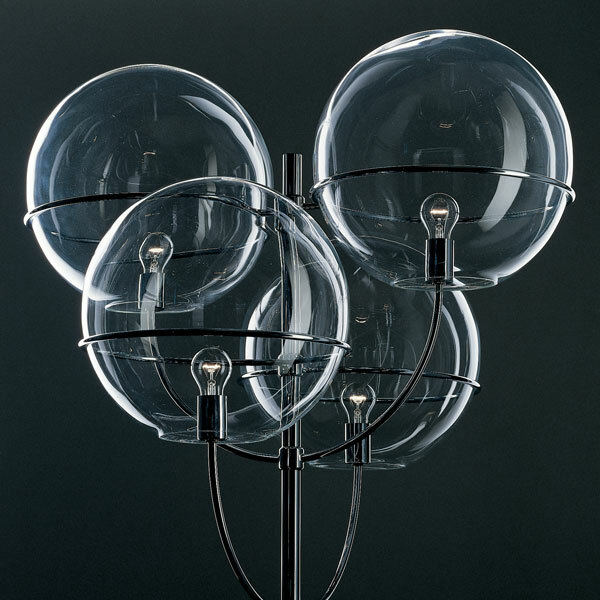 Zinc-plated black lacquered metal structure, globes in transparent polycarbonate.